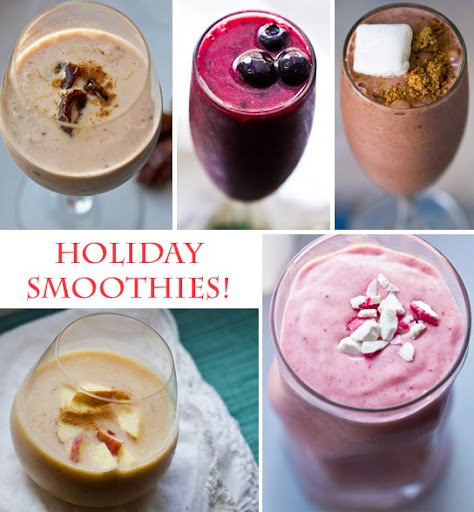 5 Holiday Smoothie Recipes! plus, iPhone App Update. I'm feeling generous. I originally wanted to make my five new holiday smoothie recipes into an exclusive update for those who have purchased my Smoothies! iPhone App. But I have caved. While I still want all you savvy iPhone users out there to download the update (which features the new recipes and a slightly modified/easier viewing format) - I also want all my loyal blog readers to be able to celebrate the holiday season by sipping these yummy, festive smoothies. 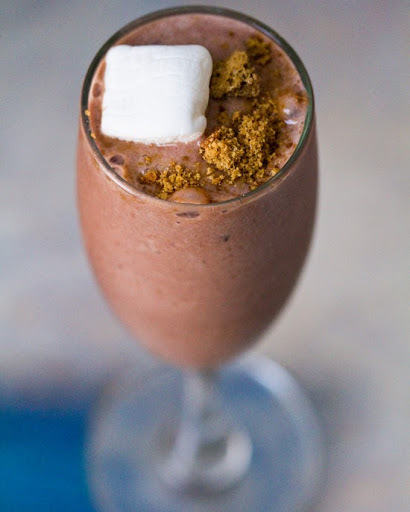 Here are my holiday smoothies..
1) This frosty chocolate shake will make you feel cozy all winter long. This cocoa is ice-blended for a cool crisp flavor. 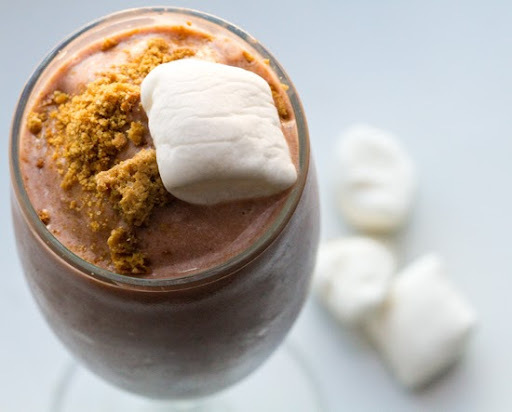 Add some smores accents( like vegan marshmallows and graham cracker crumbles) on top for a special winter treat. Blend until smooth. Pour. Garnish. Serve. 2) This spicy-sweet-tart smoothie will give your body a boost of antioxidants. 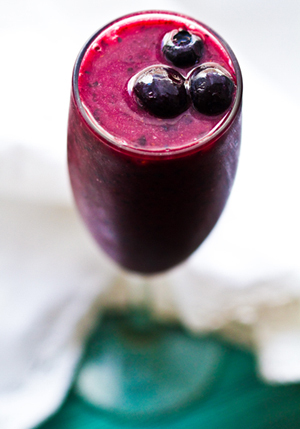 Spicy cayenne meets a hint of vanilla and dark healthy berries. Perfect as a late afternoon pick-me-up or morning energizer!.. 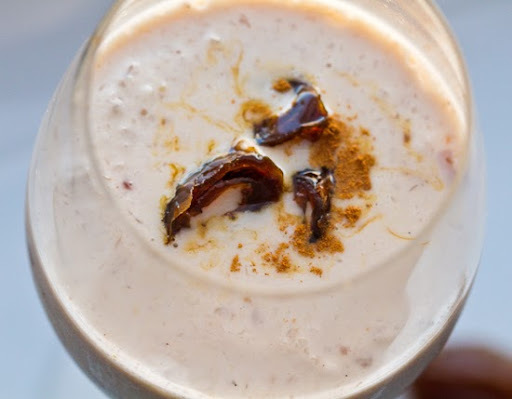 3) Creamy coconut milk meets sweet date and spicy chai flavors. Try this festive sip when you need an energizing dessert shake. 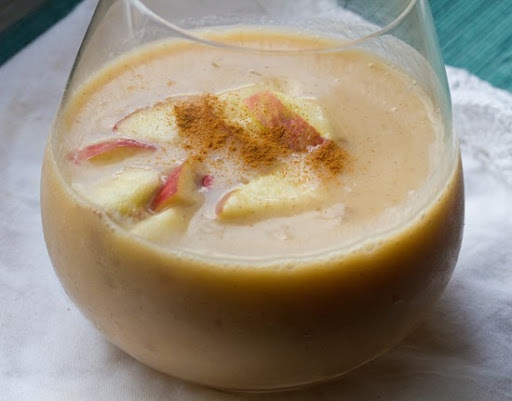 4) Creamy apple pie flavor in a healthy smoothie form. The yogurt adds a tart flavor that accents the crisp sweet cinnamon-apple garnish perfectly. 5) Santa will be putting this frosty cool peppermint smoothie on the top of his list this year! 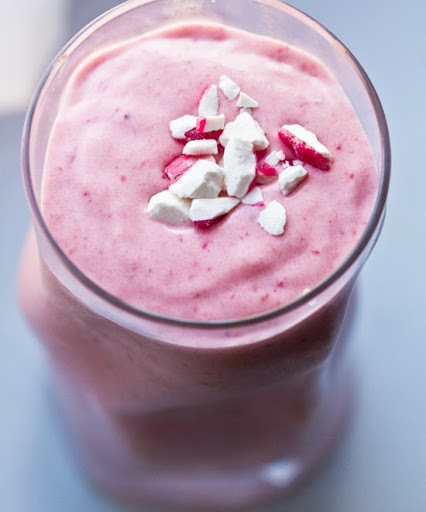 Strawberries and peppermint make a pink-colored shake fit for a holiday party or after-feast treat. ..with candy cane crumbles on top!